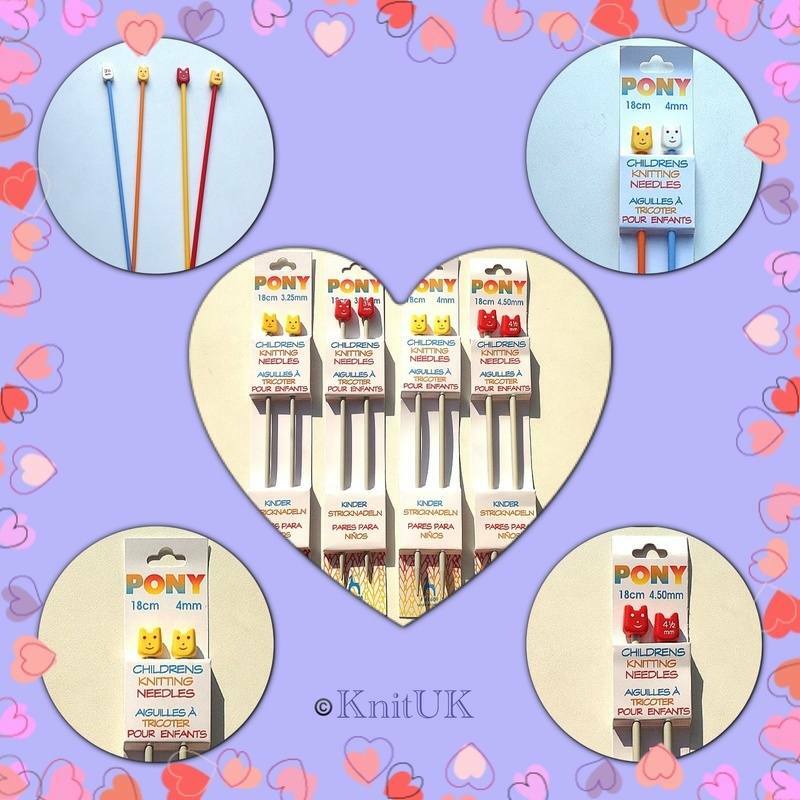 Children Knitting Needles - KnitUK knitting webshop! Easy to order your knitting materials, or craft projects such as crochet, loom knitting, tapestry, knitting kits, bracelet maker, fabrics and haberdashery, cross stitch, patterns and books and exclusive knitting needles and hooks. Colourful and Cute - Children knitting needles. Children Knitting needles are shorter to facilitate children to learn how to knit by knitting small projects. Some of the needles are in plastic material that is essential requirement for teaching younger children as it is safer than handling aluminium needles. These short needles are very good to knit patterns, swatches and knitting samples. They are excellent for knitting tension gauge fabrics as well. Very easy to hold, these needles are so good for boys and girls and adults will have fun with these beautiful knitting needles too! Children may use these knitting needles under adult supervision.